"Fracking. Could there be a more perfect model for how we’re getting rinsed by this current conspiracy of government and commerce? In a world turned upside down, “conservative” now means the absolute opposite of “leaving things as they are”. Conservative means changing everything. 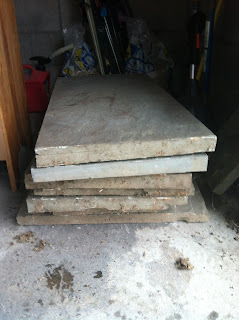 It means dismantling things and selling off the bits. It means drilling into our lives and extracting the marrow. Conservatism and conservation are now about as far apart as it’s possible to get. Friends of Conservation are the ones protecting the countryside. The ones who stand around self-consciously in terrible fancy dress, holding passive-aggressive placards in praise of the noble, selfless badger. Or basically any mammal that looks good in a waistcoat. Friends of Conservatism, on the other hand, are the ones who roll up on heavy machinery like a pissed Ukrainian militia. The ones who drill deep beneath that area of local countryside whose only “use” so far has been as a picnic site. And who then pump into the ground powerful jets of high-pressure hydrogunk, splintering rock as easily as a walnut. And who, having sucked up a sky’s worth of valuable gas through a massive crack pipe, then pack up and lumber off to fracture and steal someone else’s underground treasure. Welcome to capitalism’s late late show. If you can power-hose the last drop of value out of something, you now have an amoral imperative to do it. Fracking is the chief inspiration for today’s entrepreneurs, those “heroic wealth creators” so admired by Andy Pandery Burnham and half the Labour party. Everything is up for grabs now. The age of the racketeer is over. It’s all about fracketeering now." ...don't miss the rest of this pulls-no-punches piece, which actually isn't about actual fracking after all. It's not too late to grab your spot for this week's Make & Take with Alison. 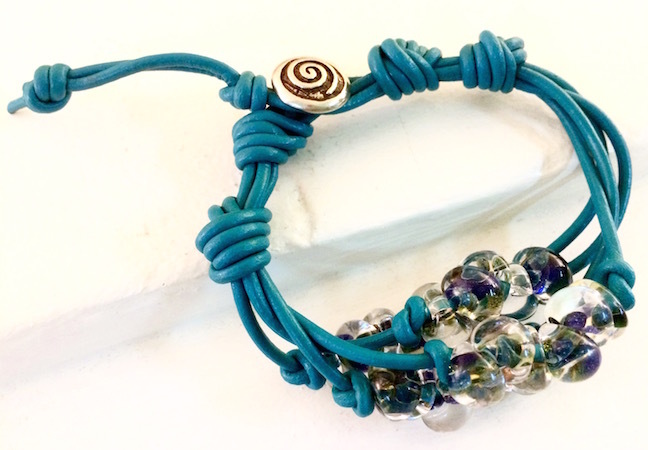 She'll be teaching how to make this really cool knotted leather bracelet! It's very summery! The instruction is free of charge. All you need to do is pay for materials (which are approximately $22) and show up for about 20 minutes. You can swing by anytime between 1PM and 4PM. Make sure to RSVP so we can save you materials and know you're coming. You can call 724-610-3770 or email us info@allegorygallery.com to reserve your space. Allegory Gallery is located at 215 East Main Street. Hi April-urgent-I lost your number and I have some things for you! "...cutting-edge research suggests that these particles play a role in some of humanity's most terrifying and mysterious illnesses: degenerative brain diseases." "We should get out of here," says (MIT research) chemist Eben Cross. At 7 a.m. on this cold November day the wind blows steadily through the Massachusetts Institute of Technology's Cambridge campus, cutting through our thin jackets. But Cross isn't afraid of the cold. He worries about the air we're breathing—especially considering the six fire trucks directly ahead, idling in the dim morning light. "We're getting hammered right now," Cross says, shouting over the hum of the engines. He's taken his gloves off to manipulate the display panel on his pollution monitor. The acrid smell of diesel is unmistakable. "Anytime you can smell it, you are in a regime that is very polluted," he says. "In many ways your nose is a better mass spectrometer than any device on the market." Cross' monitor measures the presence of microscopic particles suspended in the air. Earlier, in his home, the device reported average concentrations of between 10,000 and 100,000 airborne particles per cubic centimeter of air (the latter after he burned some toast). Now it detects millions. The massive size of the fire trucks' engines, combined with their inefficient combustion in cold weather, means that the air reaching us is replete with fine and ultra-fine particles—specks of waste at least 36 times finer than a grain of sand, often riddled with toxic combinations of sulfate, nitrate and ammonium ions, hydrocarbons, and heavy metals. 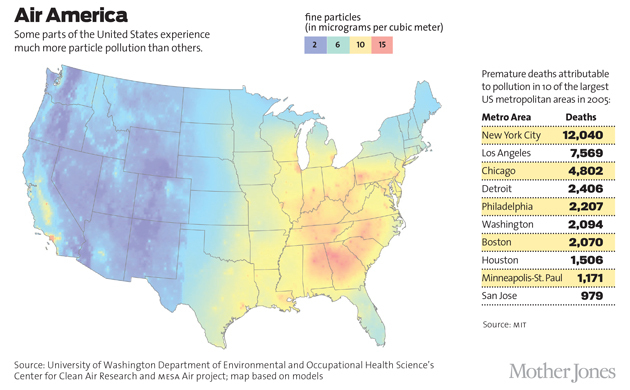 Though we have long known that these tiny particles cause and exacerbate respiratory problems—like asthma and infections and cancers of the lungs—they are also suspected to contribute to a diverse range of disorders, from heart disease to obesity. And now cutting-edge research suggests that these particles play a role in some of humanity's most terrifying and mysterious illnesses: degenerative brain diseases." Note to Pennsylvanians: Every year in Pennsylvania the natural gas industry emits 4,790 tons of VOCs, 677 tons of air toxics, and over 133,000 tons of methane. 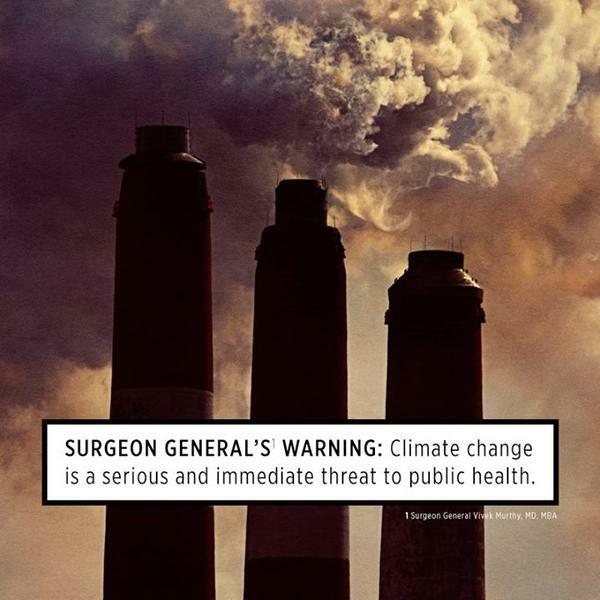 "With Surgeon General Terry’s warning (fifty years ago), our country was made bluntly aware of the dangers of cigarettes and Tuesday, Surgeon General Murthy was just as direct about the severe health consequences of climate disruption. Climate disruption is fueled primarily by carbon pollution coming from fossil fuels and fossil fuel power plants contribute 40 percent of all U.S. carbon emissions. Therefore, it’s logical to think dirty fossil fuel burning power plants now deserve a bold-print warning label that lets Americans know of the dire consequences similar to a pack of cigarettes. "(G)ood climate policy is good health policy. The reverse is also true: if we keep burning fossil fuels like we are today, we will destroy our health and the health of our children. This message connecting two important facets of good government is what attracted pillars of the American medical community to the summit including the American Lung Association, the American Public Health Association and the American Academy of Pediatrics. It goes without saying that I was honored to be there with them and join them in celebrating the historical significance of Surgeon General Murthy’s words." Yes, it's shaming time. The facts are clear, Dear Consumers of the First World Economy. What needs to be done - ending fossil fuels - is obvious and we are all grown-ups here. It's time to take responsibility. Get active...make a difference...Life depends on it. Due to the increased likelihood of severe weather beginning late this evening and continuing through the day on Saturday, Ligonier Country Market will be CLOSED on Saturday, June 27, 2015. The safety of our vendors and customers is the first priority of both the Market Manager and the Board of Directors. It has always been and will continue to be the policy of Ligonier Country Market to be open Rain or Shine, so making this decision was difficult. The approaching storm system is predicted to be unusually severe, more than just a light rain. Please plan to join us on Saturday, July 4, 2015 as we celebrate our 40th consecutive season. Eggplant: There is rich Vitamin E and Vitamin P in the purple skin of eggplant. Vitamin P can increase capillary elasticity and improve microcirculation. 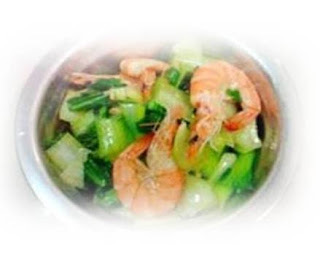 Therefore it can prevent hypertension and atherosclerosis. It is also known to boost the immune system. The particulate substance contained in the eggplant fibers can lower cholesterol. 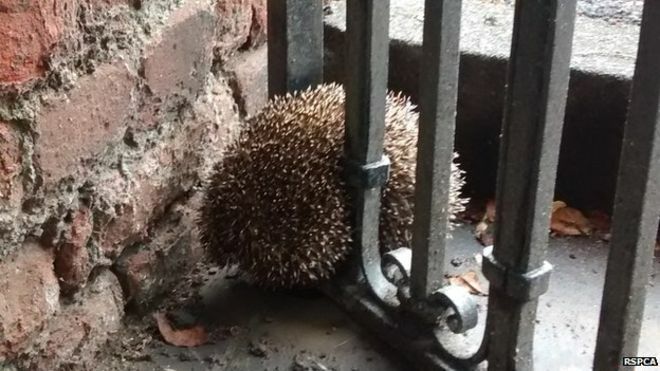 A hedgehog who misjudged its own girth was rescued by firefighters after becoming wedged between railings. 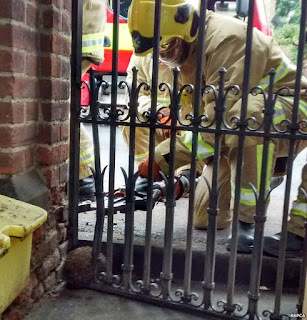 The hedgehog found itself in a tight squeeze when it tried to negotiate the gate on Old Station Road in Newmarket, Suffolk. Firefighters were called to bend the bars and release the animal. The RSPCA said it thought the animal, which has now been returned to the wild, may have got trapped because hedgehogs are short sighted. The animal was spotted on Sunday morning but it is thought it became stuck overnight. "It is hard to imagine how this little thing got itself into such a tight squeeze," Inspector Richard Lythgoe said. 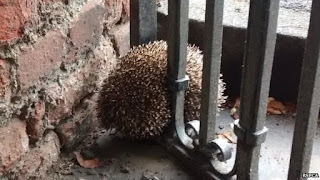 "I can only imagine it misjudged the width of the bars, or perhaps did not see them clearly as hedgehogs are short-sighted. 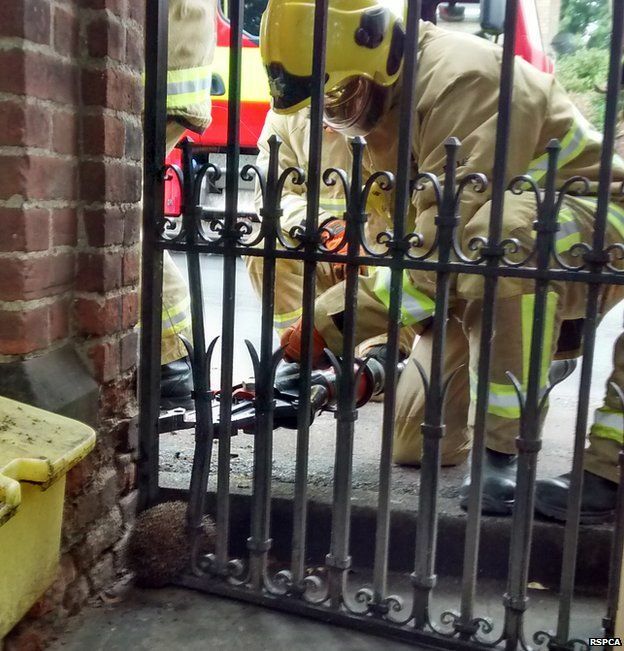 "It was so firmly wedged in between the bars of this gate that the fire crews had to completely stretch them to get it out, and even then all its little spines were squashed down." Despite being an experienced animal rescuer, Mr Lythgoe said releasing the hedgehog without the help of Suffolk Fire and Rescue officers was beyond his abilities. "They did a brilliant job," he said. Fracking produces massive amounts of water tainted with chemicals which must be disposed of in some way, and many states allow drillers to pump that water back into the ground under high pressure. As fracking has boomed across the country, that has led to a large increase in earthquakes in at least eight states. Two things wrong with this photo. Hint: Both of them are made of metal and one causes earthquakes, as well as other undesirable things like cancer. Want to learn how to make this cool bracelet? 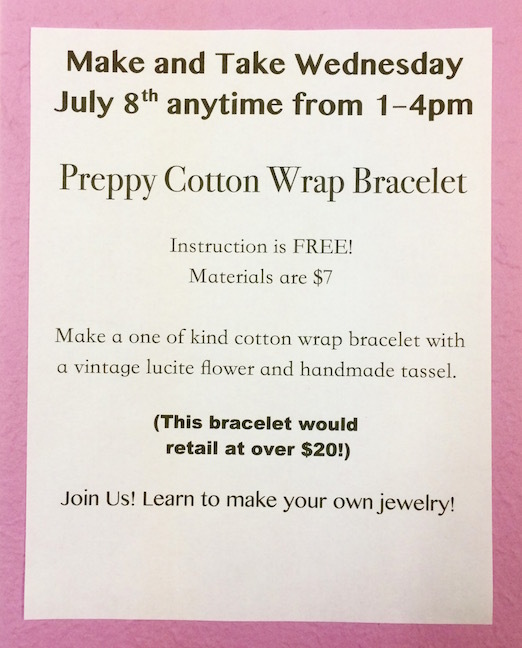 Join us for the upcoming Make & Take Wednesday at Allegory Gallery on July 1st from 1PM to 4PM. Alison will be showing how to create this beachy beauty! Instruction is completely FREE! The only cost is for materials. Projects take about 20 minutes to make (depending on how exciting the conversation is). Please RSVP to reserve your space to as soon as possible; space is limited. Call (724-610-3770) or email us (info@allegorygallery.com). Allegory Gallery is located at 215 East Main Street. For Gary Thistlethwaite of Ligonier Township, participating in the PA Hero Walk — a grueling trek from Philadelphia to Western Pennsylvania –— has been a way to honor those who served in the military, while raising money for a good cause — helping veterans in need. “I can't believe the number of people, at every stop along the way, some stopping on a four-lane highway, handing out money,” to help veterans, Thistlethwaite said Wednesday night at the conclusion of a parade on Main Street that wound around the Diamond and down to the American Legion Byers-Tosh Post 267 in Ligonier. After some delays last week, repairs to the Route 381 bridge over Laughlintown Run in Ligonier Township began this week, marking the beginning of a series of bridge replacements in Westmoreland County. The bridge is one of seven in Ligonier Township that will be repaired as part of PennDOT's $899 million Rapid Bridge Replacement Project. Route 381 traffic will be detoured to routes 2043, 711 and 30. A Westmoreland County judge gave formal approval Tuesday to the $1.7 million sale of the defunct Laurel Valley Middle/High School to a firm with plans to lease the building for use as a drug and alcohol treatment center. President Judge Richard E. McCormick Jr. gave the go-ahead for the sale to Western PA Coal Resorts LLC. The Ligonier Valley School Board approved the purchase in April. The company plans to pen a 20-year lease for the property with Retreat, a firm that operates rehabilitation centers in Lancaster County and Palm Beach County, Fla. The school building is about 12 miles north of Ligonier on Route 711. 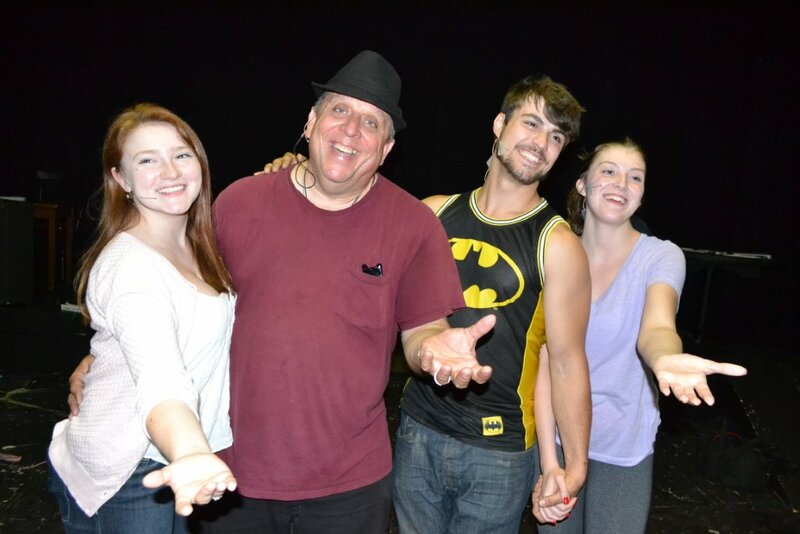 The Ligonier Valley Players are rehearsing the blues musical “Heart of Steel “left right are Rosemary Baird, Eric Harris, Levi Minear and Cait Crowley, The band Mystic Knights Band will perform the music. The show opens Friday Jun. 26 and Sat. Jun. 27 at 8:00 pm for tickets call 724 238 6514. First, the school board...We have a school district that just sold a property for $1.7 million when they still owe $5 million on the bond. The sale price included the mineral rights. The district has had to tap into their reserve fund to make ends meet. Several residents have been watching the business affairs and feel that there is a concerted effort to run ”in the red”. The current superintendent has a record of questionable business practices here and at her previous school district. What will happen when our school district becomes distressed? Will a private enterprise, such as Resource Development and Management move in to save the day? Now on to Ligonier township...The township is following a similar path. They have doubled the expenses for office staff, duplicated job descriptions, passed a very poor zoning ordinance BEFORE a comprehensive plan was developed and are now faced with the real danger of going bankrupt. The debt will be incurred through litigation without insurance. You see, our township manager (newly hired a year ago) has managed to change insurance companies for liability while conveniently neglecting to tell the new insurer about pending litigation. Now there is no insurance and the taxpayers will have to cover the costs! This seems to have been done for the purpose of bankrupting the township! Everything has been carefully orchestrated to enable that Ligonier Township Municipal Authority will HAVE to sell its water to the Municipal Authority of Westmoreland County in order to relieve debt. How convenient for those who want to buy it! And guess what? There is a common denominator - the past treasurer and president of the school board is currently a township supervisor. He is also the township's secretary-treasurer. And...wait for it...he serves as the Vice-chairman of Municipal Authority of Westmoreland County! The members of the Ligonier Township Water Authority do not want to sell the township water to MAWC, but will probably be forced to do so, due to a cleverly contrived township budget crisis. Both the school board and the township supervisors blindly follow the advice of one man. They respect and fear him, for he has, reportedly, gotten jobs and contracts for them and their family members. One supervisor, who recently resigned, even accused him of “blackmail” during his resignation speech. The local media, of course, did not publish that comment. manage the Municipal Authority of Westmoreland County. How convenient! The CHEM Trust report also focuses on the potential health effects of the hundreds of chemicals, along with sand and water, that fracking companies use to prise open rocks. It warns of “significant” pollution to air, groundwater and surface waters and threats to wildlife. Some of these toxic chemicals have been linked to breast, prostate and testicular cancer in humans as well as coronary heart disease, the report says. It outlines how 38 fracking chemicals are “acutely toxic for humans” and a further 20 are mutagenic, or known or possible carcinogens. ADVERTISEMENTThe damning report by the CHEM Trust, the British charity that investigates the harm chemicals cause humans and wildlife, highlights serious shortcomings in the UK’s regulatory regime, which the report says will only get worse as the Government makes further budget cuts.It also warns of severe risks to human health if the new Conservative government tries to fast-track fracking of shale gas across the UK. The “scale of commercial fracking” unleashed by the Government’s eagerness to exploit the technique “should not be underestimated”, it cautions. ....(we're alive in) one of those brief, rare episodes in Earth history when the biological framework of life is dismantled, but not by an asteroid or a massive volcanic eruption that blots out the sun. Instead, the extinctions are being driven by the effects of just one single species, Homo sapiens. Such a mass extinction has not occurred before (with the possible exception, 2.5bn years ago, when a type of microbe evolved photosynthesis to spew out oxygen, a gas that would have been highly toxic to the other microbes living then, and these would have been pushed to the fringes of life on Earth – where they still remain). Even more extraordinarily, this single species is land-living, but has managed to become the top predator in the oceans too, causing populations of whales and fish to collapse." The article concludes "Averting a mass extinction is still possible – but we don’t have much time." 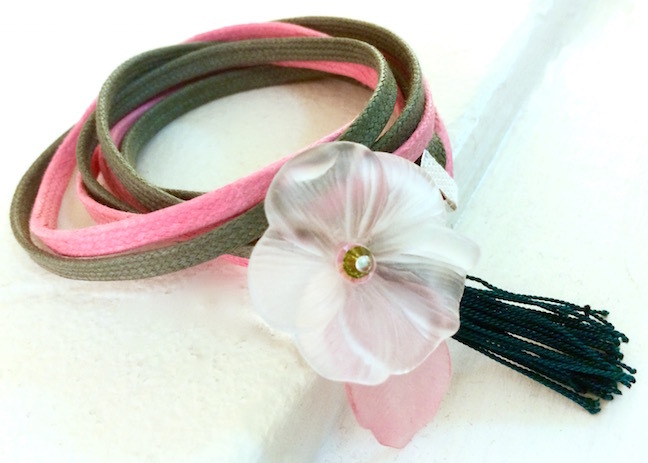 Incorporating fibers into jewelry is all the rage these days! 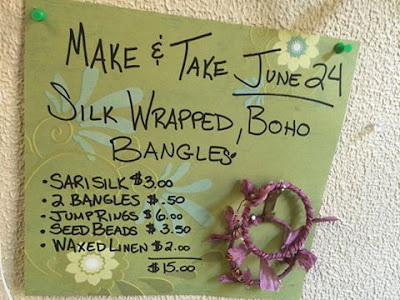 For this week's Make & Take Wednesday, Alison is showing how to create these fashionable Silk Wrapped Boho Bangles! Instruction is FREE of charge! The only cost is for materials. Stop by any time between 1PM and 4PM on Wednesday, June 24th at Allegory Gallery. 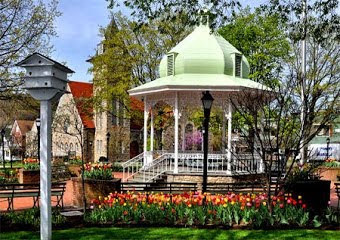 Allegory Gallery is located at 215 East Main Street, Ligonier, PA 15658 (in between Scamp's Toffee and The Stationery Shop. The project will take approximately 20 minutes to make. Make sure to RSVP to reserve your spot. Call 724-610-3770 or email us (info@allegorygallery.com). Space is limited. What a wonderful weekend! 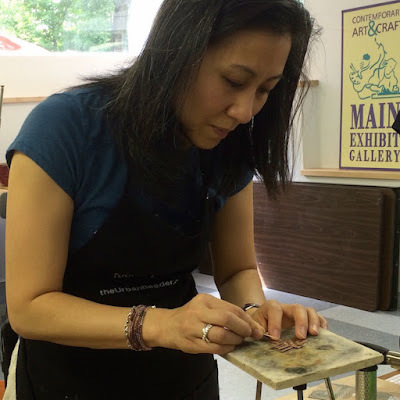 It was packed with all kinds of awesome classes with world renowned jewelry artist, Kieu Pham Gray! She was an excellent teacher with a fun, energetic spirit. We are so happy that we were able to bring her out to Ligonier. We had our classes in the new Lower Level Art Center at Main Exhibit Gallery and it was a great space. There was plenty of room and natural light. Plus, Mandy and Paul are such gracious hosts! We will definitely work with them again! The book signing and trunk show were also a big success! We are so honored that people braved the torrential rain and high winds to come out to the event! 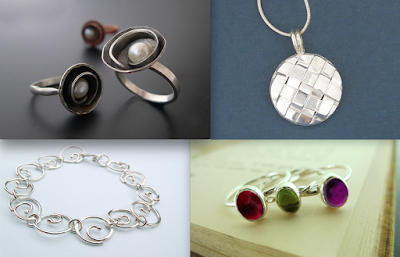 Here's a sampling of the projects that I made in class! The first night, we made a bracelet and had an introduction to soldering. The second day we had two workshops. In the morning we made the basket-weave silver pendant and in the afternoon we made a ring. (My ring looks a little bit different than the others in class, because I decided to leave the pearl out.) 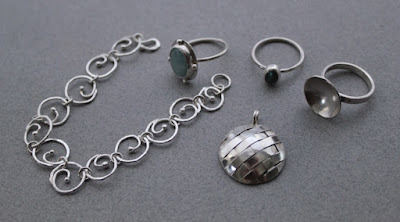 On the third day of workshops, we had an extended session where we learned how to bezel set stones. It was a very enjoyable and educational weekend! We will definitely invite Kieu to come back. She was an excellent teacher and such a treat to work with! Keep your eyes peeled for future Weekend Intensive Workshops offered through Allegory Gallery! Dennis Davin, secretary of the state Department of Community and Economic Development, promised a more comprehensive approach to tourism promotion during a visit to Ligonier on Friday. Lawmakers, businesspeople and community leaders met with Davin at the Thistledown at Seger House bed and breakfast along Main Street. Davin praised the work of local organizations such as the Laurel Highlands Visitors Bureau, but he said the state needs to use more of its money and clout to help such groups by adopting a statewide approach to tourism and marketing. “We kind of lost the focus there and we want to bring it back,” he said. Davin, a Pittsburgh native, was director of the Allegheny County Department of Economic Development before moving to his current job in January. Note: The Charleston shootings this week were a hate crime, a form of home-grown terrorism akin to suicide bombers. The murderer's racist ideology is a legacy of small, impoverished minds conditioned over centuries by fear and by this culture's huge Lie that we are separate beings...when in fact we are completely connected to - and dependent on - the matrix of Life and each other. Myth No2: Americans don’t want meaningful gun reforms Support for universal background checks skyrocketed after the December 2012 Sandy Hook elementary school shooting in Newtown, Connecticut, with 90% of Americans behind the proposal at its peak. More than two years later, polls continue to show strong support for expanding background checks, averaging 80%. As a successful 2014 ballot initiative in Washington state proved, if you leave the decision in the hands of voters, they are more likely than politicians to vote for universal background checks. Myth No4: Switzerland and Israel seem to do OK without gun control Switzerland is actually second among wealthy countries in terms of annual gun deaths (0.77 per 100,000 of population in one recent survey, versus 2.97 in the US and just 0.07 in England and Wales) but has barely half as many guns per 100 people (45.7 versus 88.8 in the US). But even this comparison gets weaker if you look at the way the Swiss keep their guns, which stems from a tradition of military service that has been considerably tightened over the years. One US study by the National Institutes of Health points out that both Switzerland and Israel (another alleged exception to the rule touted as proof that guns don’t kill) actually limit firearm ownership considerably and require permit renewal one to four times annually. Myth No7: Guns are essential for self-defense According to the nonprofit Violence Policy Center, there were just 258 “justifiable homicides” involving civilians using guns in 2012, as opposed to 8,342 criminal homicides committed with a firearm. And those figures do not even include an estimated 22,000 suicides and accidental shootings annually where guns are involved. Myth No10: Mass shootings still happen in areas with strict gun laws, so gun control doesn’t work In the September 2013 Navy Yard incident, the shooter legally purchased firearms in neighboring Virginia despite a criminal record and mental health issues – exposing gaps in the current background checks system. And cities like Chicago are plagued by the illegal trafficking of firearms; there is no current federal law that defines gun trafficking or straw purchasing as a crime. Myth No11: Universal background checks would create a federal database of gun owners In fact, the Manchin-Toomey legislation explicitly barred the creation of a federal database in its text, but opponents insisted it would infringe on the liberties of gun owners in America. Aside from that being a false claim, it was notable that just a couple of months later, when it was revealed that the NSA was spying on millions of Americans, the same lawmakers were overwhelmingly supportive of far more intrusive data-gathering. I hope you'll take advantage of this event! 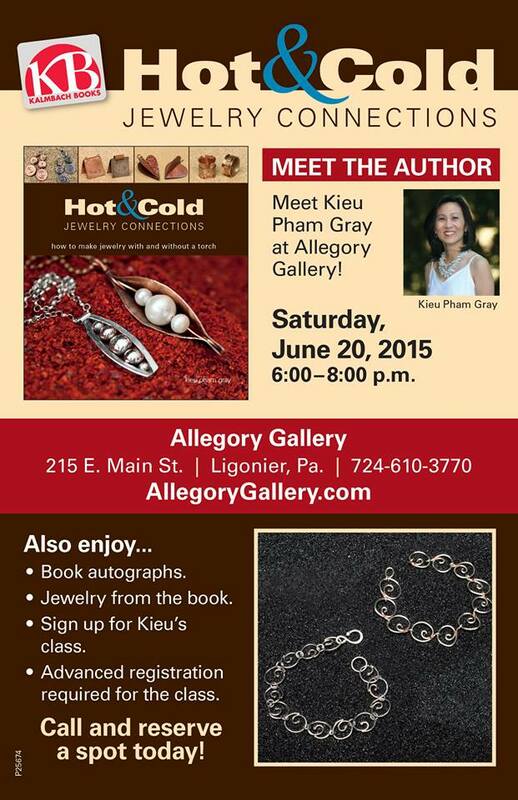 Meet author, Kieu Pham Gray, and get a copy of her new book, "Hot and Cold Jewelry Connections: How to Make Jewelry With and Without a Torch"! She will also have a selection of specialized jewelry tools. Stop by tonight at Allegory Gallery from 6PM to 8PM! Hope you can make it and support the arts in Ligonier! Beautiful homes, lush gardens and mountain views will be featured June 27 on the 11th annual Inside Ligonier Valley home tour. The self-guided driving tour will visit five homes, including a French cottage-style home, a renovated Colonial, a log home with spectacular views, a modern Cape Cod and a newly built condo in town. Just north of town is the French-style stucco home owned by Carol and Dave Painter. The three-story house was built in 1911. The Painters bought it in 2011 after it had been vacant for 10 years. 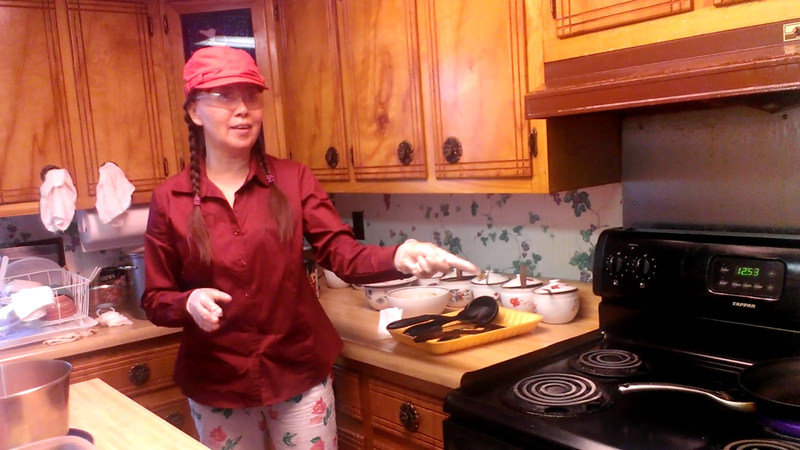 Learn Happy Healthy Cooking with Chef Lacy! Learn to cook tasty and nutritious meals like those served at Mountain Palace. Lacy will be sharing her cooking skills and healthy food content knowledge this Saturday in Latrobe. Discover dishes that will not only taste good and are easy to prepare, but also benefit your health. Happy Healthy cooking for obesity, high cholesterol and high blood pressure including chicken, cashews & celery with rice or meatless. Neither liberal nor conservative—but definitely radical. 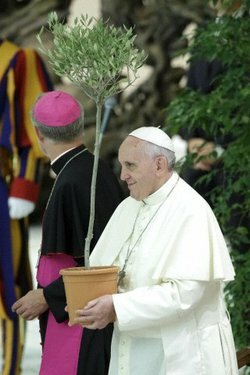 Francis calls for nothing less than the demotion of individualism and a renewed concern for what we hold in common as humans (the encyclical is explicitly directed to all of us, Catholic or not, since the environmental crisis is more universal than any challenge before it). 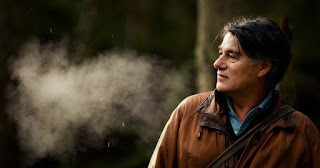 “The rejection of every form of self-centeredness and self-absorption [is] essential if we truly wish to care for our brothers and sisters and for the natural environment,” he writes. Get your nose out of your iPhone (“When media and the digital world become omnipresent, their influence can stop people from learning how to live wisely, to think deeply and to love generously”) and join in the fight for a livable world. Because a fight it is. The pope may have combined the orders of science and spirituality, but he knows they must battle a third magisteria: money, which so far has usually won. He’s caustic about the failures of international conclaves and national politicians, rightly isolating the cause as the ongoing triumph of those for whom accumulation is the only god. “Whatever is fragile, like the environment, is defenseless before the interests of a deified market,” he has written, adding knowingly today that, “consequently the most one can expect [from our leaders] is superficial rhetoric, sporadic acts of philanthropy, and perfunctory expressions of concern.” Indeed, an hour or two after the release of his encyclical, the House voted to give the president “fast-track” authority to negotiate a free trade agreement with Pacific Rim nations, over the protests of advocates for both environmentalists and workers that it would only worsen the problems the encyclical describes." 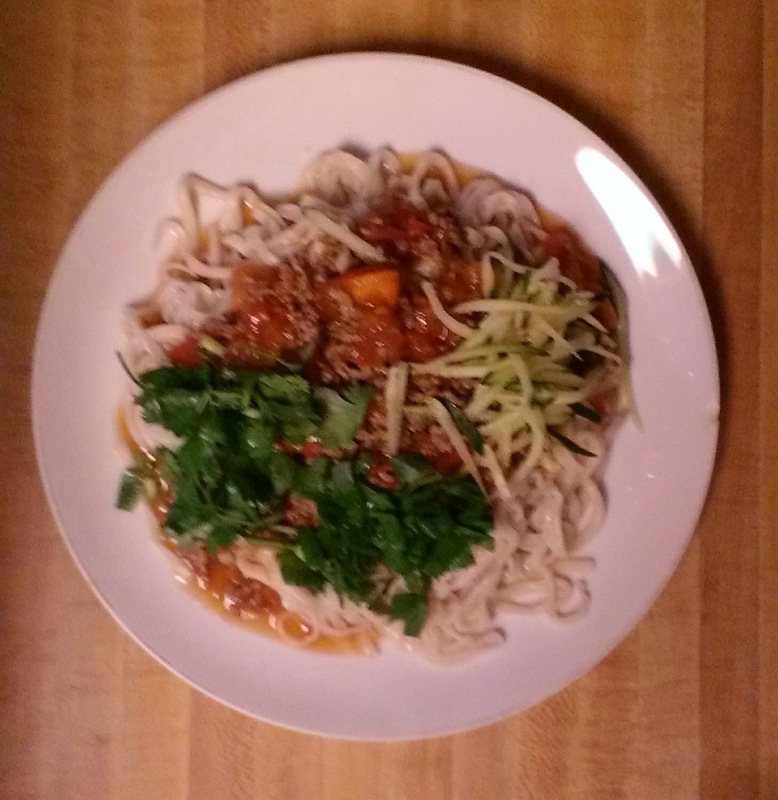 Come to Mountain Palace this weekend to enjoy this or any of our other Happy Healthy Northern Chinese Menu Items! Yay for tree planting in the borough! A tree-planting project approved in November by Ligonier Borough Council is starting to grow. At its June 11 meeting, council heard from Community Outreach Assistant Marah Vecenie and Community Forester Brian Crooks of the Western Pennsylvania Conservancy about progress made in its “Trees for Ligonier” initiative. The project's purpose is to plant shade trees throughout the borough, create a tree inventory and link the data to Geographic Information Systems, or GIS, mapping. Lately, Vecenie and Crooks have traversed town to record trees' sizes, health and species. Betsy's of Ligonier is celebrating 25 years of business the only way they know how — with heaps of cake and style. The popular retailer was founded by Betsy Cannon who ran the business for five years. Debbie Sarault and her husband, David, originally from Connecticut, were looking for a clothing store that was looking to sell. Cannon was interested. Sarault admits she didn't know who the ‘Betsy's customer' was when she started. Her husband had a background in retail, but she was new to the business. The Ligonier Theatre is proud to host a world Premiere event from Studio Saville Production LLC. It's the blues like you've never seen before! Heart of Steel features The Mystic Knights Blues Band with all original music put together into a brand new original musical written by Debbie Saville and Gil Snyder. It's the story of the ups and down's of love and everything in between. Join us and WHJB's morning host Lora Kay on Opening night Friday June 26 for a live broadcast from the theatre. Win prizes from the WHJB prize wheel and enjoy a reception after the show. Enjoy some good food and meet the cast and Mystic nights band members. 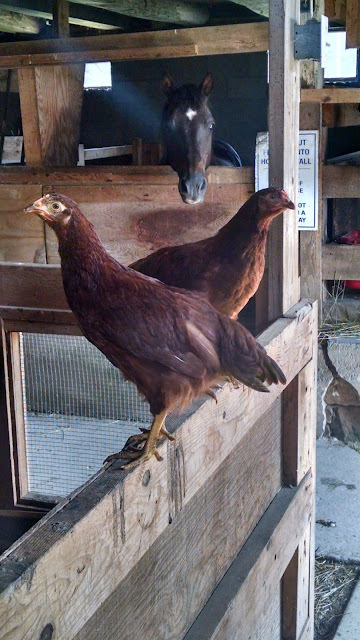 We're selling eight four-month-old poults (Rhode Island Reds, I believe). They should be laying eggs by September. $10 each. Call Jim. (724) 309-7790. You don't have to be Catholic to love this, either. It has everything: Bad guys, a hero, martial arts, massive crowds...why, even a savior! Before the Encyclical is released, see the preview. "Although Range Resources was issued a Notice of Violation in September 2013 for the leaking gas well, it still has not corrected the defective cement. Since that time, the private wells, a pond, and nearby streams have continued to show signs of gas migration, including increased turbidity, and the presence of iron, aluminum and manganese. Elsewhere in the area near the leaking well, foliage “dead spots” and gas escaping from the soil have been observed by DEP. DEP’s May 11, 2015 order cited Range Resources for not correcting the defective well, and ordered the company to submit and implement a plan to prevent the migration of gas or other fluids. Calling the continued gas migration “unlawful conduct and a public nuisance,” DEP gave Range Resources ten days to submit a remediation plan. Range Resources submitted a plan that proposed putting the well into production as a means to resolve the gas migration. DEP rejected that plan because it did not include making necessary repairs and has now directed the company to remediate the well in a manner that immediately ceases the discharge of methane to ground and surface water. “Range Resources has the responsibility to eliminate the gas migration that this poorly constructed well is causing,” said Quigley. “Refusing to make the necessary repairs to protect the public and the environment is not an option.” Range Resources has appealed the May 11 order to Pennsylvania’s Environmental Hearing Board." If you live in a flood zone, be alert, and move valuables to a higher level. "Strangely, forgiveness never arises from the part of us that was actually wounded. The wounded self may be the part of us incapable of forgetting, and perhaps, not actually meant to forget, as if, like the foundational dynamics of the physiological immune system our psychological defenses must remember and organize against any future attacks — after all, the identity of the one who must forgive is actually founded on the very fact of having been wounded. Stranger still, it is that wounded, branded, un-forgetting part of us that eventually makes forgiveness an act of compassion rather than one of simple forgetting. To forgive is to assume a larger identity than the person who was first hurt, to mature and bring to fruition an identity that can put its arm, not only around the afflicted one within but also around the memories seared within us by the original blow and through a kind of psychological virtuosity, extend our understanding to one who first delivered it. Forgiveness is a skill, a way of preserving clarity, sanity and generosity in an individual life, a beautiful way of shaping the mind to a future we want for ourselves; an admittance that if forgiveness comes through understanding, and if understanding is just a matter of time and application then we might as well begin forgiving right at the beginning of any drama rather than put ourselves through the full cycle of festering, incapacitation, reluctant healing and eventual blessing. To forgive is to put oneself in a larger gravitational field of experience than the one that first seemed to hurt us. We reimagine ourselves in the light of our maturity and we reimagine the past in the light of our new identity, we allow ourselves to be gifted by a story larger than the story that first hurt us and left us bereft." 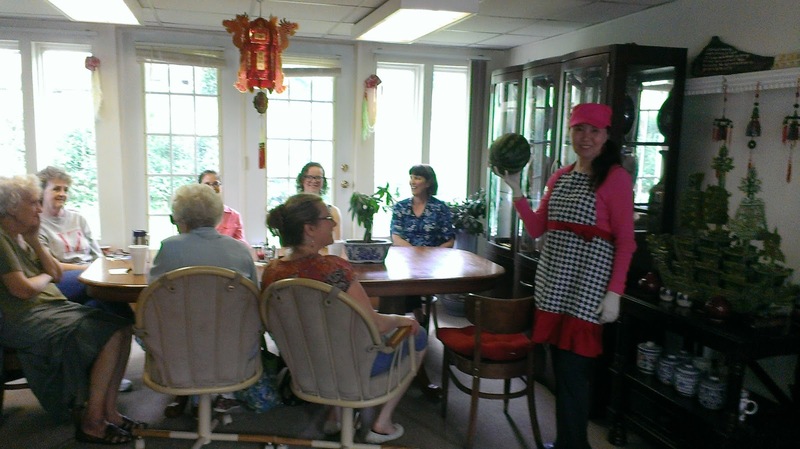 Learn to cook tasty and nutritious meals like those served at Mountain Palace. Lacy will be sharing her cooking skills and healthy food content knowledge this Sunday. Discover dishes that will not only taste good and are easy to prepare, but also benefit your health. Tomorrow will include instruction in how to prepare her soups and chaofan (northern Chinese fried rice). Among the items being taught is the idea of using watermelon rind in soups. Watermelon rind is packed with nutrients and is quite tasty. The rind contains citrulline which not only acts as a diuretic but in Traditional Chinese Medicine is compared to Viagra. It is also used in the treatment of diabetes, edema, acne, erectile dysfunction, constipation and wound healing. 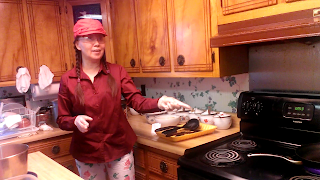 Happy Healthy cooking for obesity, high cholesterol and high blood pressure. "SUMMIT TWP — A gas well near Summit Elementary School (Butler) has been an ongoing issue for some. Groups representing Moms Clean Air Force, Women for a Healthy Environment and the Southwest Pennsylvania Environmental Health Project joined a radiation oncologist outside of the school Monday afternoon. 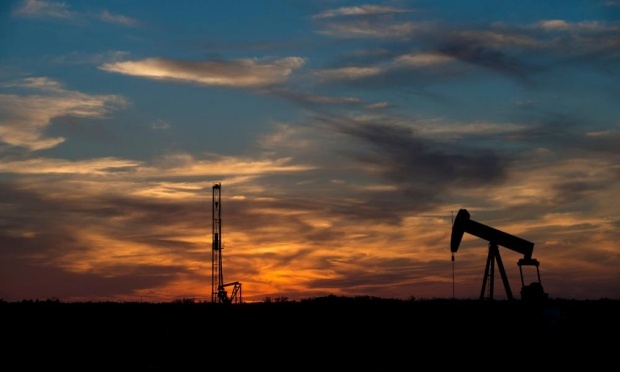 The doctor was examining the health impacts of natural gas drilling to urge policymakers to implement stronger drilling regulations in areas in proximity to schools. The group spent an hour outside the school bringing awareness of the proximity of the well. Raina Rippel, director of the Southwest Pennsylvania Environmental Health Project, also was there Monday. “Behind me is the playground. 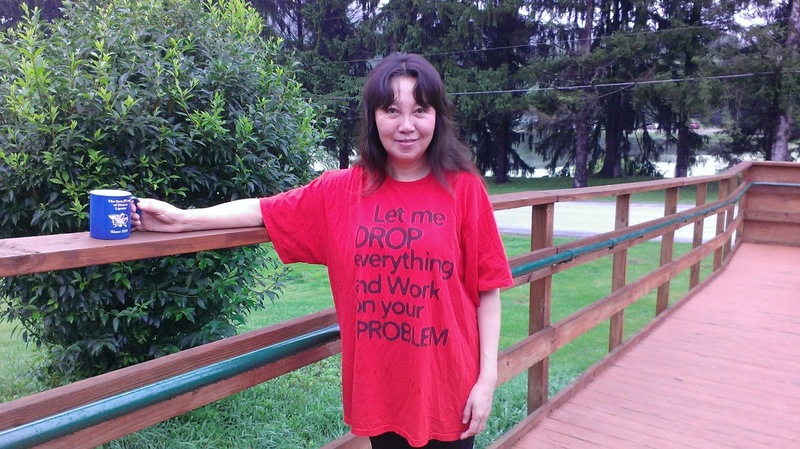 In front of me is the gas well,” she said. “It's too close.” Dr. Marsha Haley, a radiation oncologist at Magee-Womens Hospital of UPMC and a clinical assistant professor at the University of Pittsburgh School of Medicine, is part of a national working group researching the environmental impacts of natural gas drilling. “A majority of the literature I've studied shows that fracking has significant health risks that are not mitigated by current setback distances between the wells and the public,” she said. “This is especially concerning for children whose little bodies are more susceptible to air pollutants. As a parent and a physician, I want to see policy solutions.”"
Ligonier councilman Michael Bieterman resigned Thursday night as he is moving to Unity. Council accepted the resignation and appointed Terry Murphy to fill the remainder of the term, which is due to expire in January. Murphy, 70, received enough write-in votes in the May 19 primary to get both party nominations for one of the three four-year council terms available in November's election. WAKE UP Ligonier Township Voters!!! The NEW DAY promised by the current Ligonier Township Supervisors has turned into a NIGHTMARE! It is admirable that a Recall has begun to remove those Township Supervisors from Public Office. However, charges of not owning property will not remove a Township Supervisor from Public Office. Rumors of bad behavior are not grounds for removal!!! It is going to take hard work and digging to find the grounds for removal from office. The Pennsylvania Constitution demands that the citizenry must show that the elected official has been convicted of a crime or involved in the common law crime of misbehavior in office. It involves a commitment of regularly attending Township Meeting; watching, listening and taking notes to be informed. Ask questions!!! Do you realize how dangerous a question from the Public is for the Ligonier Township Supervisors? They have adopted a Public Comment Policy that makes it impossible for a Resident to just ask a question regarding an action taken by the Supervisors. There is a Public Comment Period that you must sign up for in advance, and state the topic of your question on that form, or no questioning of your local elected officials why they voted on a contract, ordinance or resolution. And your time is limited, speak five minutes and then sit down. And then follow up investigating all business conducted at that meeting. Whom was awarded that Insurance Contract? Was there competitive bidding, or were just a few select agencies solicited for quotes. And look at the bills, the vendor lists, anything that provides a trail showing where and to whom Township Funds are being dispersed. Don’t be afraid to use the Right to Know Act to request information. And don’t let the Township bully and stall from giving that answer. Start with the legal bills. Does anyone really know how many Attorneys have been engaged by the Township in the past year? And hired for what cases? Wouldn’t that be interesting to know! Stop sitting by idly, get involved! It is already known that at least two Appointed Officials met privately to discuss ways to rid of an Elected Ligonier Township Supervisor. For what reason were they meeting off site? Investigate the management of Ligonier Township Government and you decide! “If we don’t know what chemicals are being used at specific well sites,” Dr. Sack said, “physicians and public health officials can’t do their jobs. It’s a total hoax to say the public knows what’s going on if there isn’t full disclosure of all the chemicals used in fracking.” he went on to say. **hardly a bastion of liberal radicalism, the AMA...big conservative constituency. But as the ones who are dealing with the medical fallout from fracking - pun intended...there is radioactivity involved, after all - doctors want to know what has sickened their patients. Thanks to the Halliburton Loophole and paid-by-the-oil-and-gas-industry flacks like Tom Corbett and Ed Rendell, we are defenseless against the harms of fracking. Yeah, let the corporations police themselves...right. One of our most popular weekend specials is back - Tasty and Healthy! Ligonier Township residents questioned their supervisors' vision for their community Tuesday night, as the board voted to advertise for adoption of several zoning ordinance amendments, including provisions for agritourism and agrotourism. Two residents spoke up at a hearing on the amendments to discuss the two issues. “I'm just a little bit confused as to what is the purpose of you guys in the development of the township in hoping that we go forward and grow the business that is the township if you don't allow certain things,” said Abigail Mack. A bit of competition will exist in the Ligonier Borough Council race in November's election due to write-in votes collected in the primary election. According to pre-certified vote counts from the Westmoreland County Bureau of Elections, two more candidates made it onto November's ballot for three available four-year terms. The votes were expected to be certified Tuesday afternoon. Can't make it to one of her classes? Fear not! Kieu is also doing a FREE book signing and trunk show at Allegory Gallery on June 20th from 6PM to 8PM. 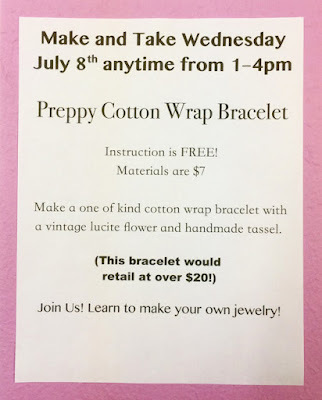 Come meet the author of the new book, "Hot & Cold Jewelry Connections"! It'll surely be a fun-filled weekend!